We've been teasing you with bits of information about the Samsung YP-T9B digital audio player, where we heard it was first seen in China last week. 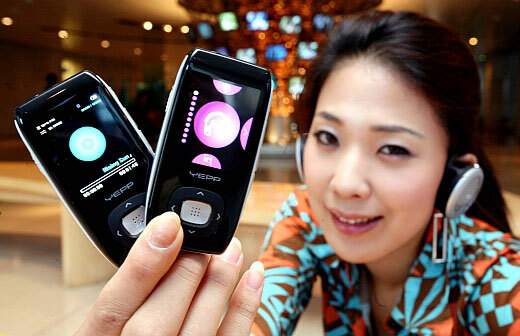 Now it's been sighted in Korea, where the diminutive music player with a flash-based graphical interface and 1.8-inch display will be available in 1GB ($180), 2GB ($220), and 4GB ($280) capacities. Those prices are all US dollars in Korea, but there is no word when these way-cool players will be available in the United States. But we're thinking that's going to be very soon, if Samsung wants to keep up with the Jobses.